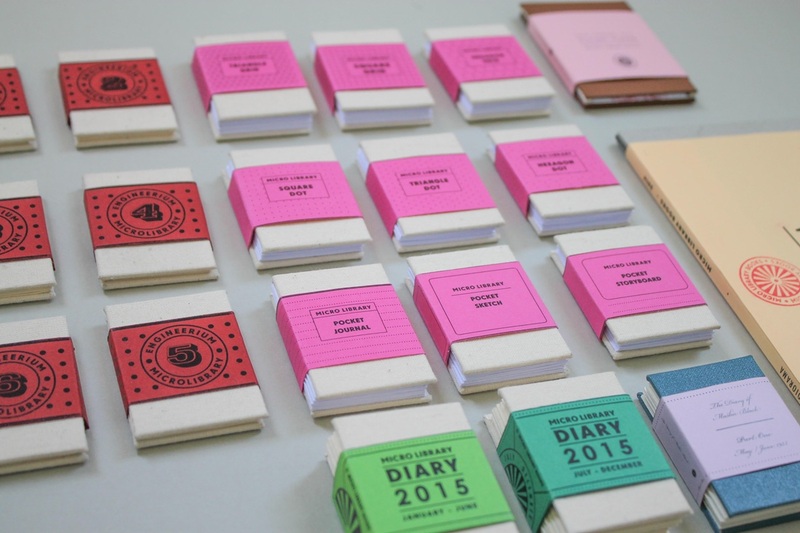 Micro Library Books was established in January 2012 as a platform for the design and production of limited edition pocket-sized illustrated books and packaging. 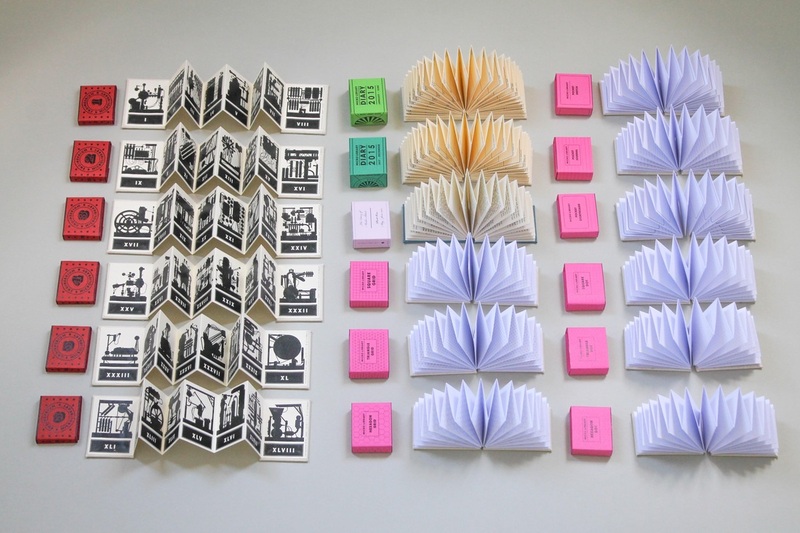 ​I began experimenting with the format of the miniature book during the summer of 2002. One of these experiments developed into a four part pocket-sized paper called Emitron: a loosely textual, collaged artwork photocopied onto a single sheet of A4 drafting film, folded down into 24 pages and taped into an illustrated cover. Each page was the size of a 35mm slide, which was problematic, as the textual content proved too small to be read comfortably. This novelty format was soon abandoned in favour of a refined, upsized version that was republished by Borbonesa as a series of four Micropapers. In January 2012, ten years after these first experiments with the format, I again became preoccupied with miniaturisation, and spent many months experimenting with a new series of intricately assembled pocket-sized works that contained folding paper sculpture, pop-up elements and abstract collage. 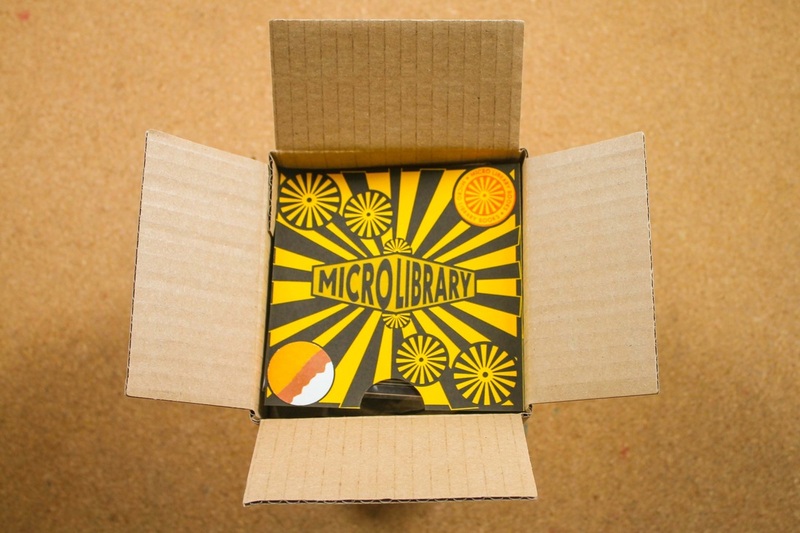 The Engineerium Micro Library Box Set was the first of these experiments. This pocket-sized collection of paper 'works' contained 48 speculative illustrations of decommissioned engines printed across 6 miniature hardbound, accordion-fold books. The books themselves were made from several A4 sheets of 120gsm ivory paper, which were printed, cut, folded into 8 pages, and bound by hand in calico-wrapped card covers. The packaging that houses the six books is a single printed A4 sheet of 160gsm paper, which is cut, folded and formed into a box. Once printed, each copy of the Engineerium Micro Library took over two and a half hours to assemble by hand. 'Lee Shearman uses found texts and images in his Micro Libraries. “The scale and format of the book is endlessly fascinating,” Shearman says, “allowing for continual experimentation, perhaps where space to work is limited. The Engineerium Micro Library was designed in such a way that I can easily construct copies of the book while traveling by train, as the materials and tools needed fit into a small A4 sized case.” There’s a strongly sculptural aspect to Shearman’s books that reflect his roots with large-scale installations. The pages of his miniature Engineerium series fold out concertina style, trailing across the reader’s palms, with their silhouetted images of machinery. Other works evoke the scientifically explainable world of the 1950s and 60s. The highly coloured, dated illustrations cut out from children’s encyclopaedias have been collaged into detailed pop-ups or mounted into Perspex cubes that can be viewed from all sides, turning the world of science and empiricism into playthings.